You spend countless hours tweaking your web pages and blog posts, but are you making them easy to find in Google, Bing, and the major search engines? In this post, we will discuss tools and best practices for optimizing your rankings. I use WordPress for our blog (here’s why), but the techniques discussed here works regardless of what blogging tool you use. When creating a blog post, think of what the main focus of the article is. In this blog post, my focus phrase is “WordPress SEO” because by focusing on a single keyword phrase, I can optimize the content for that phrase and drive more targeted traffic. Once you’ve decided on the keyword phrase, put that phrase in the title of your post and as close to the beginning of the title as possible. Notice in this post, my title is “WordPress SEO: 10 Tips to Boost your Google Ranking“, so the keyword phrase “WordPress SEO” is at the beginning of the title. Notice the first bolded section of this post “Tip 1 – WordPress SEO: Target a single keyword phrase” is created as an H2 (heading 2) and contains the word “WordPress SEO” close to the beginning of that H2 tag. When Google and other search engines crawl your post, it looks for important words (those that are used in the title, H1/H2/H3 header tags, and words that are used repeatedly throughout the post). By finding a high-density word, it assumes that this word or phrase must be what the article is about and provides a better ranking. Notice that I mention the word “WordPress SEO” several times during this blog. By bolding the word, the search engines figure it is an important word. Keep the description to 156 characters or less because that’s the maximum characters shown by search engines. Include your keyword phrase in the description, as close to the beginning as possible. Use as much of the 156 characters as possible to target your keyword phrase and explain your blog post. Be sure your description sounds like a normal sentence, don’t just put your keyword phrase into the text over and over in a nonsensical manner. Images inside your post get indexed by search engines, so put as many images in your blog post as is feasible. You will notice at the end of this blog post, I put in several images that show how to use Yoast SEO. 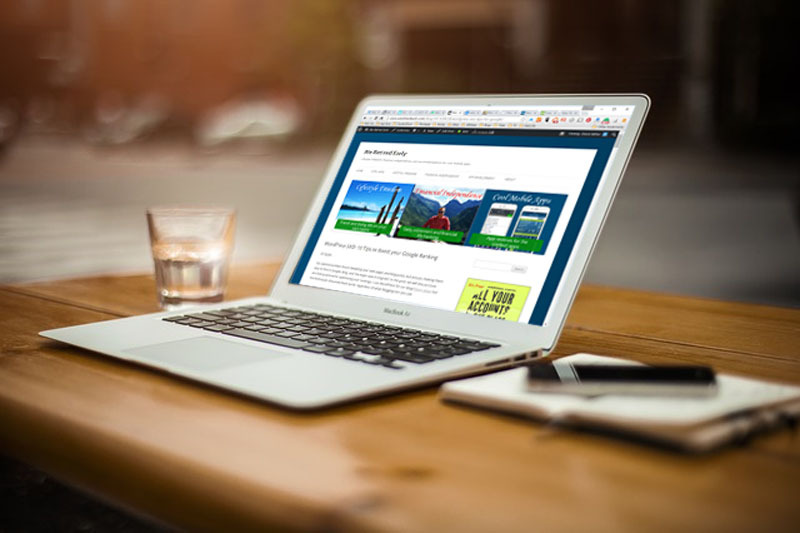 Include the ability for users to share your blog post via Facebook. When doing this, include a strong Facebook image, title, and description; each of those should have your keyword phrase included. If you include a Facebook and Twitter image for your post, it will generate more reads. According to Buffer Social, including a photo in your tweets increases retweets by 35%. 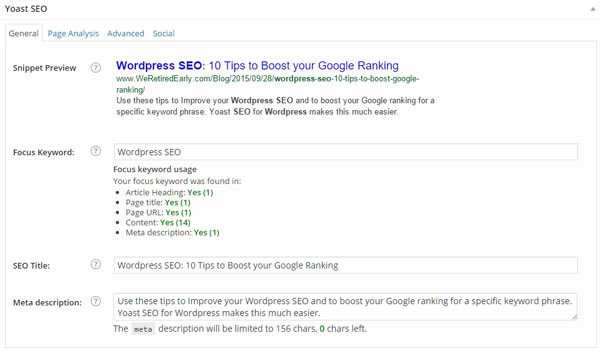 How to use Yoast SEO for WordPress SEO to boost your Google rank. 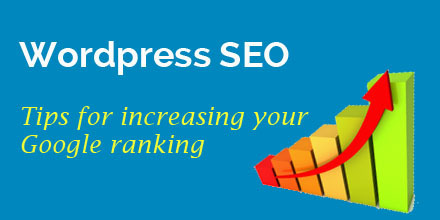 WordPress SEO is an important consideration if you would like to increase your Google ranking for a specific blog post or web page. This article explains best practices for implementing WordPress SEO. Similar to the Facebook sharing tip, do the same for Twitter. With Twitter, make your title and description shorter, as you only have 144 characters to work with (less when you include an image). Also, use one or more tags to improve Twitter SEO. Use the same one as Facebook. All of the things mentioned in this article can be done with or without WordPress. However, using WordPress can make your life easier because it provides lots of plugins to make maintaining your site a breeze. If you are using WordPress and are hosting the site, consider using the Yoast SEO plugin. 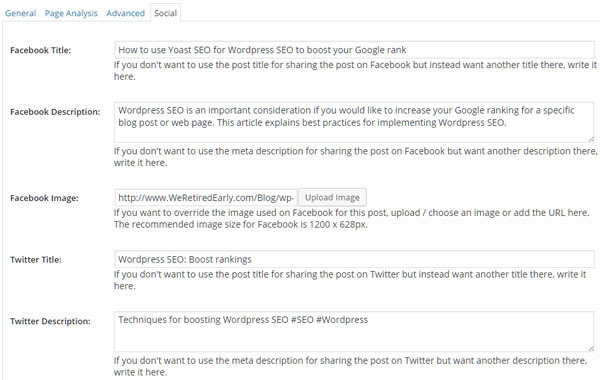 With this plugin, you can easily make your blog post SEO friendly. Download the Yoast SEO plugin (it’s free) and install it using these instructions. Finally, you can check how well you did by clicking the Page Analysis tab within Yoast SEO. Social Sharing – Post the blog post to your social networks (Facebook, Twitter, LinkedIn, Google Plus, and Pinterest) — be sure to include an image with your post to gain a 35% increase in retweets. Viral Sharing – Use ViralContentBuzz.com to allow others to retweet your blog post in return for retweeting blog posts that would be of interest to your readers. StumbleUpon – Post your page to Stumble Upon so that others can stumble onto it, here is an example of one I’ve posted. 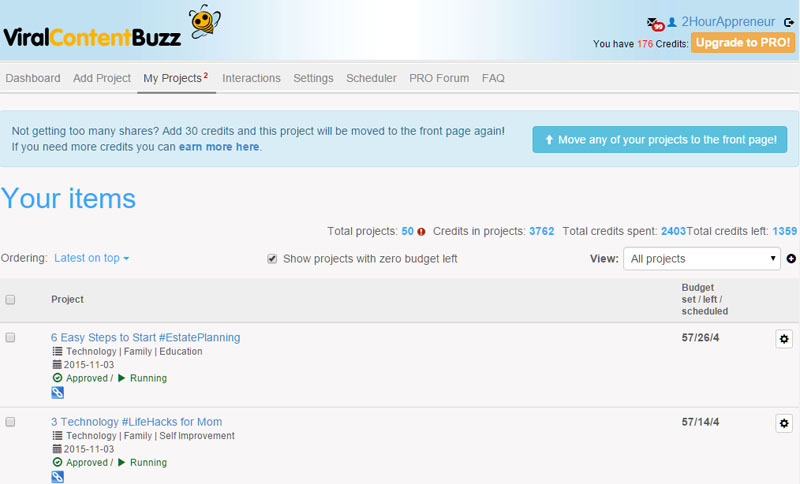 Blog Spot – Post your blog post to BlogSpot, here is an example of how I this for a prior post. Tumblr – Post your blog to Tumblr, here is an example. Medium – Post your blog to Medium, here is an example, Try to find a publication with related articles and ask the editor if they will post your articles. Google Plus – A Google Plus posting tends to get better rankings with the Google search engine because they are owned by the same company, so be sure to post a link to your blog post there several times within the week of publishing it so that you can drive more organic traffic. Here are some example posts I’ve created there. 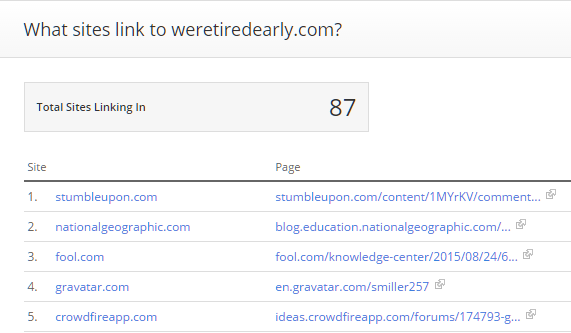 Find Related WordPress Blogs – Now that you have your keyword phrase, find other people’s blogs that compliment yours. You can find this with this URL: http://www.Wordpress.com/tags/[tagname], here is an example: http://www.wordpress.com/tags/seo. This will bring up a list of blogs that posted about SEO. I read the posts and LIKE the ones I find interesting. If appropriate, I will also add a comment to their blog that tells them why I liked their blog post and tell them I have a blog that expands on SEO and provide a link to my blog post within the comment. By LIKING the post, the author will most likely check out your blog. By posting a comment with a link to your blog, the author’s readers may check out your blog post. Once you filter the list, look at each article that catches your interest, like their article, and comment (with a link to your blog post) if appropriate. By following the tips in this article, you will begin ranking higher in Google and will drive more readers to your website or blog. By driving more traffic to your blog, your Alexa ranking will increase and it will snowball into more people finding your blog. P.S. Can I ask a Favor? Leave a comment and let me know tips you’ve found to increase the number of readers to your blog or website. This entry was posted in App Development and tagged improving website traffic, wordpress plugins, wordpress seo, yoast seo on September 28, 2015 by Steve Miller. 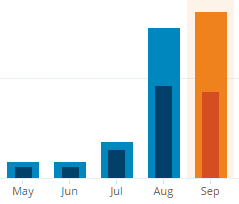 Thanks for being a loyal follower of the 2HourAppreneur blog. As you probably know, we are developing a new app and we will be providing monthly updates as we progress with the development of the new app and let you know once the app is ready for the first round of beta testing. 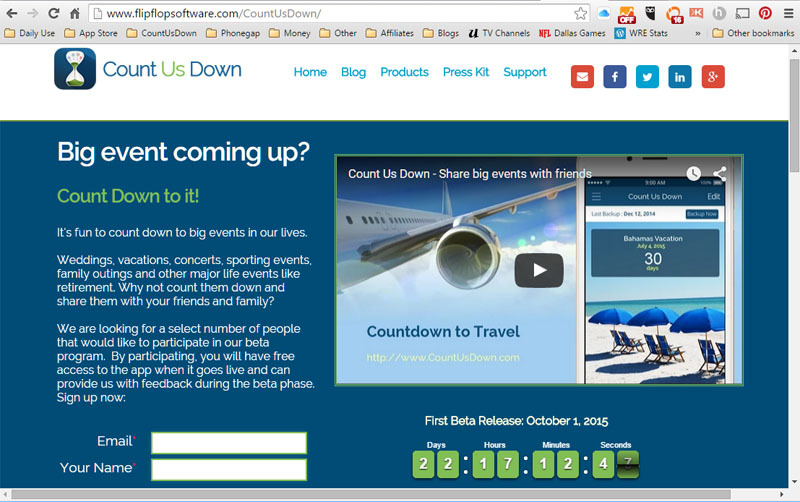 If you want to sign up for the beta team, you can do it here: http://www.CountUsDown.com. If you are interested in how that might benefit you, read this article. 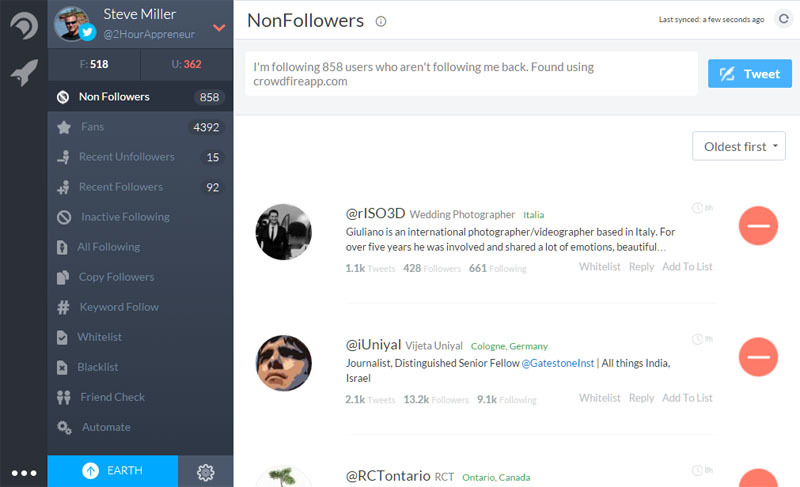 Beta 1 – This will have the basic features of the app. We will be soliciting feedback on colors, design, and ease-of-use. We expect to be in Beta 1 by the end of summer. Beta 2 – This release will have sharing capabilities built into the app. You will be able to create an event and share it with others. We expect to be in Beta 2 sometime in the fall. 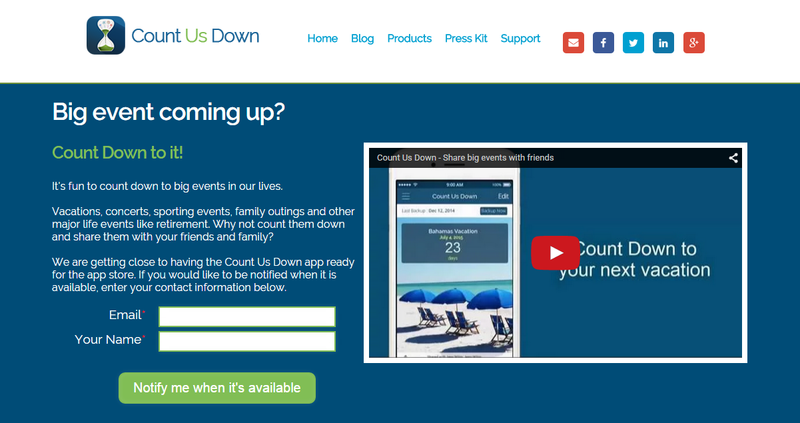 We just finished the first iteration of the Count Us Down website, it would be great to get your feedback: http://www.CountUsDown.com. What do you think of the colors of the website? Can you easily understand what the app does by viewing the website? What do you think of the logo (top left area of the page)? Are we missing anything on the website that is important to know? Is the video too short, too long, or just right? Can you easily understand what the app does by viewing the video? Are we missing anything in the video that is important to know? Here are some screen shots from the app. Please review the screen shots and let us know what you think about them (any feedback is helpful). This entry was posted in App Development and tagged #countusdown, baby countdown, concert countdown, count down, countdown, countdown app, nba finals countdown, soldier deployment countdown, stanley cup countdown, superbowl countdown, travel count down, vacation count down, wedding count down, women's cup soccer countdown, womens cup countdown, world series countdown on July 10, 2015 by Steve Miller. Ever wonder what it would be like see an app being developed? We are working hard on a new mobile app that will work on both the iPhone and Android devices and would like your help! It is a friend-sharing app that allows you to countdown and celebrate your life’s big events. It’s called Count Us Down. Weddings: Imagine you are planning a wedding and would like to share the big date with your friends and family. Simply open up the app, add your wedding date, share it with your friends and now all your friends can count down the days with you! Travel: Let’s say you are planning a vacation with friends and/or family. Add your vacation date, share it with your travel mates and you all share in the anticipation of counting down the days until your fun trip. Baby on the Way: If you’re pregnant and want to share the baby’s arrival with friends and family, you can have them count down to the arrival of your bundle of joy. Sporting Events: Imagine counting down to the Superbowl, World Series, the Stanley Cup finals, NBA finals or the Women’s World Cup! You get the Picture: Any event coming up (retirement, soldier coming home from deployment, concert, family reunion, class reunion) — count down and share the excitement! We are in the development stages of the app now and will soon be testing our first release of the app. We plan to have 2 formal beta releases, the first will have basic features and the 2nd will have sharing features. Give us candid feedback on colors, features, and ease-of-use. Give us suggestions for future versions of the app. 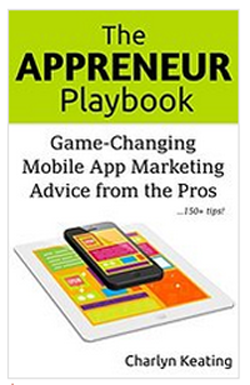 Get a free copy of the app once it is in the app store. Get exposure to how an app is developed and tested. Brag to your friends that you helped test an app that is used world-wide. Nab Karma points for helping us out (we will also give you a shout out in an upcoming blog). This entry was posted in App Development and tagged #countusdown, baby countdown, concert countdown, count down, countdown, countdown app, nba finals countdown, soldier deployment countdown, stanley cup countdown, superbowl countdown, travel count down, vacation count down, wedding count down, women's cup soccer countdown, womens cup countdown, world series countdown on July 1, 2015 by Steve Miller. We just published our video trailer for the Count Us Down app, a cool new app we are working on that will allow you to count down the days to your next big event. Take a look at our video trailer, it’s only 45 seconds long. Let us know what you think! This entry was posted in App Development and tagged baby count down, concert count down, count down app, count us down app, diet count down, event count down, fitness count down, retirement count down, sporting event count down, travel count down, vacation count down, wedding count down on May 29, 2015 by Steve Miller. I wrote a prior blog about creating an app video, you can see that by clicking here. Look for relevant keywords – It does you no good to use keywords that have nothing to do with your app. People will see your app and ignore it. Look for keywords with high traffic – I look for keywords with a traffic ranking of 4+ but the higher the better. Look for keywords with low iPhone difficulty (competition) – I look for keywords with a with 3 or less iPhone difficulty ranking, but the lower the better. 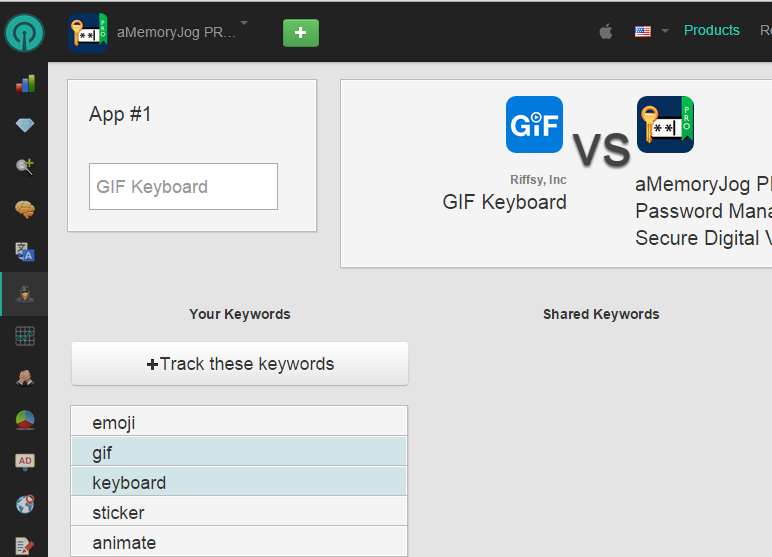 Then click the Keyword Optimization icon from the left margin. 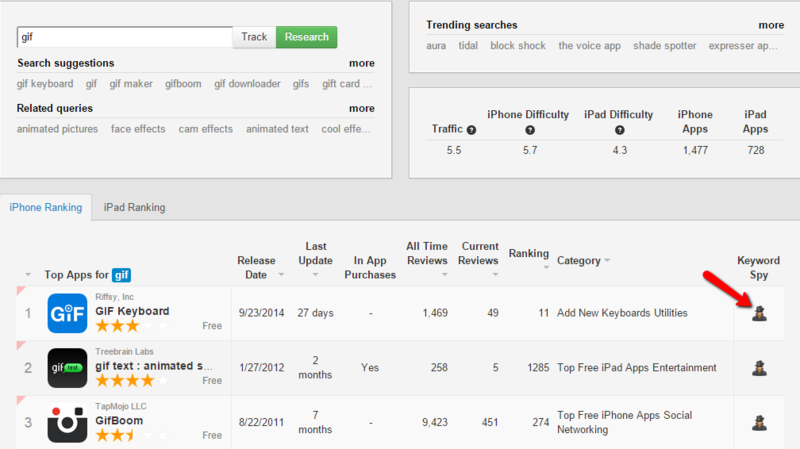 From here you can enter a list of keywords you think might be relevant and it will tell you the traffic and iPhone difficulty ranking of each. When entering keywords, separate them by commas with no spaces in between and do not include any words that are in your app title. You can enter up to 100 characters of keywords (including the commas), and Sensor Tower will tell you how many characters you’ve used. 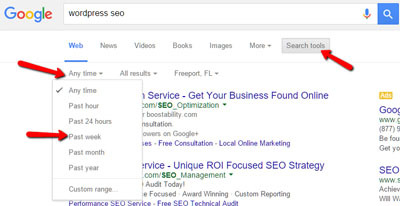 It will even spot any keywords that are already in your title, how cool is that? In the examples above, the traffic rankings are pretty good but the difficulty rankings are pretty high. This means that you may get a lot of traffic, but you will most likely be far down in the list of apps the user sees so you may never get any eyes on your app. It will show you the keywords the competitor uses and compare it with the keywords you are targeting so that you can determine if you might want to use some different keywords. It is also a good idea to localize your keywords for different languages. Sensor Tower has a feature that allows you to translate your existing keywords to different languages. You can access that by clicking the Keyword Translation icon in the left margin. This is a good starting point but be sure to use Sensor Tower to analyze each of these keywords in the app store of the language you are targeting. For example, you may find that the word gif is a good keyword for the US app store but when translated it may not be a good keyword in the Chinese app store. Spend lots of time with ASO before releasing your app and a great tool like Sensor Tower to find relevant keywords with high traffic and low competition. This entry was posted in App Development and tagged app store keywords, app store optimization, aso, keyword optimization, keyword research, keyword translation, sensor tower on May 19, 2015 by Steve Miller. 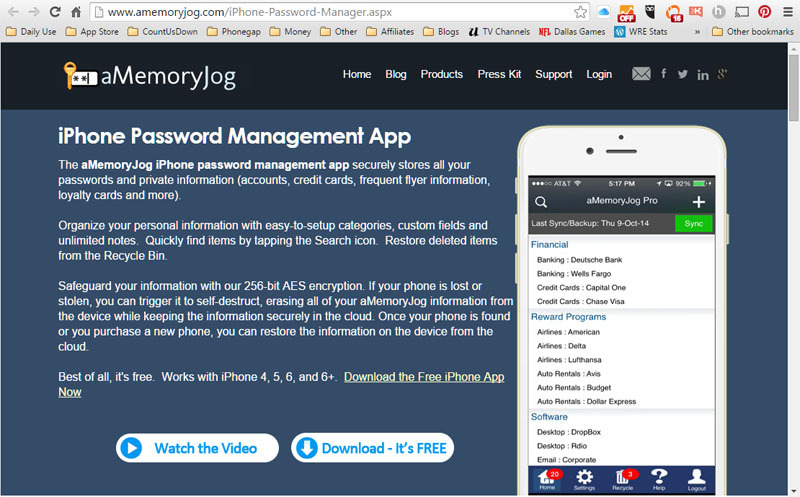 Now that my first app, aMemoryJog Password Manager is live in the app store, I am on to my next app project. 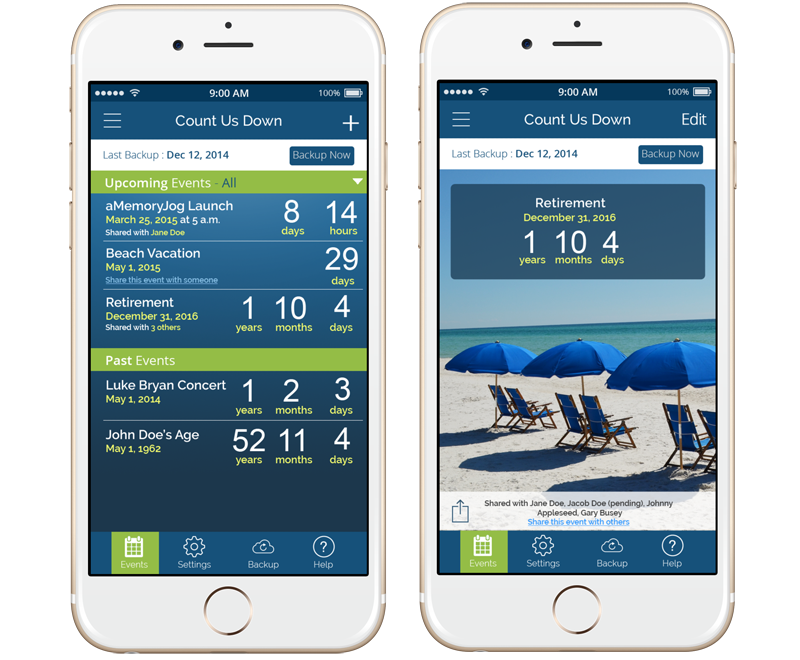 My next app is called Count Us Down, it allows you to count down the days to your next big event — vacation, sporting event, or family outing. You can even count down to really big life events like a graduation or retirement. Many of you mentioned that it would have been great to have an Android or Windows phone version of aMemoryJog. I am using a different technology for the Count Us Down app so it will be very easy to create iPhone, Android and Windows phone versions of the Count Us Down. I just created the website for the Count Us Down app. Please review the website at http://www.CountUsDown.com and let me know what you think about the features and if I missed anything. From here you can also sign up to be notified via email once the app is live in the app store. This entry was posted in App Development and tagged count down app, count down to big events, days until a big event, event count down, event count down app on May 18, 2015 by Steve Miller.